UltraMFCD in Action Watch UltraMFCD enable clickable, draggable and resizable display exports for DCS - all with absolutely no configuration required. UltraMFCD for DCS. 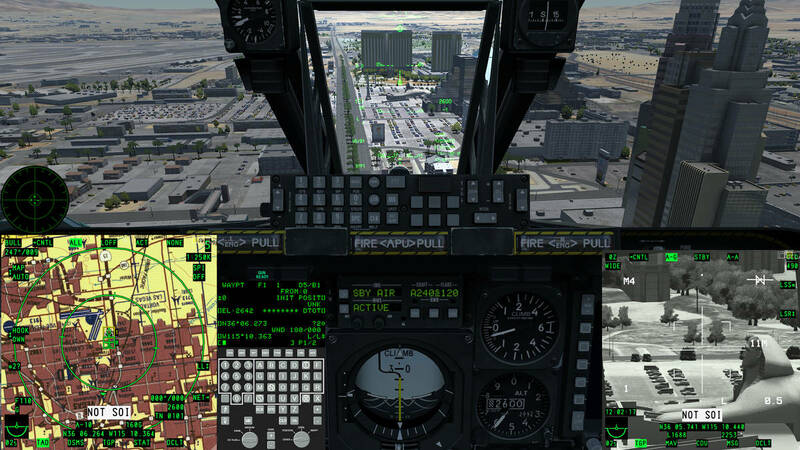 Click, drag, resize and enhance DCS avionics. There's quite a lot of information on this site. Just watch UltraMFCD in action. 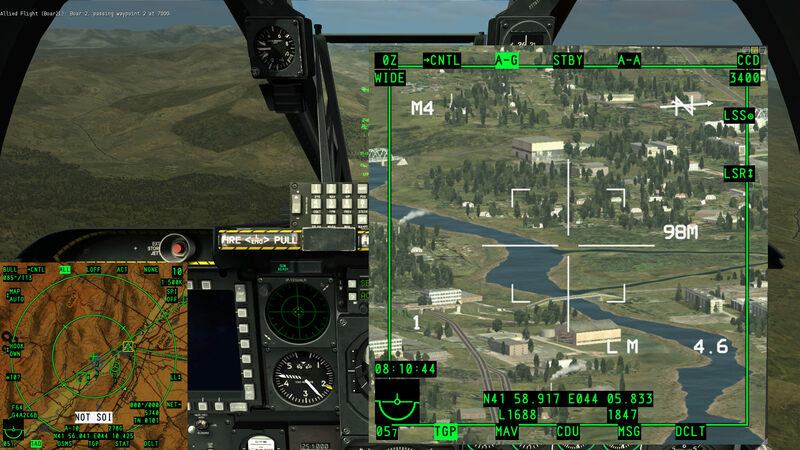 The ability to export MFCDs has been available in Digital Combat Simulator for some time. UltraMFCD takes these to a new level by enabling the pilot to drag and resize the MFCD exports (MFCD, CDU , RWR) in real-time - allowing a layout of one's tactical systems which suits the circumstances - in addition to making the screens themselves clickable so as to reduce overall screen clutter. Never before has the interaction with your aricraft's computer systems been as immersive, intuitive and interactive. UltraMFCD requires absolutely no configuration or editing of DCS's configuration files. Simply run UltraMFCD and sit back while DCS is configured for display exports totally automatically. UltraMFCD will remember the configuration each MFD between flights, allowing the pilot to concentrate on flying as opposed to system configuration. UltraMFCD's displays can be dragged freely to any display connected to your computer - even those on which DCS is not running. The rule is simple: If Windows is aware of the monitor, you can freely drag one or more UltraMFCD displays there. 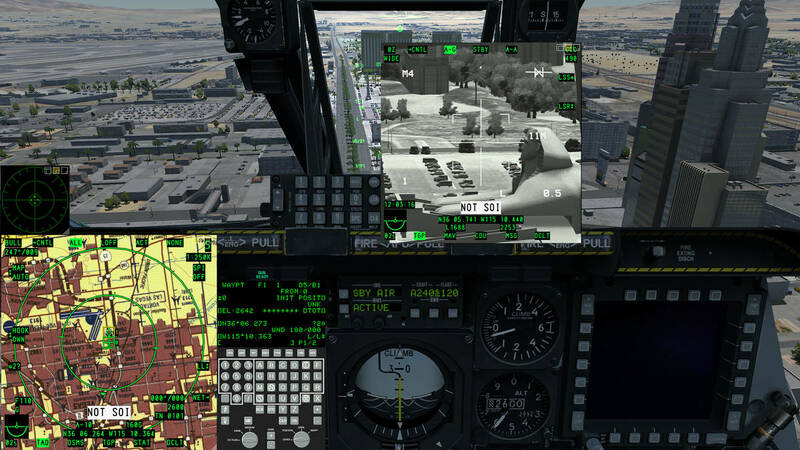 To save valuable screen space, OSBs are integrated in to the display screen itself, granting the pilot as uninterrupted view as possible of the rest of the simulator's world. UltraMFCD exports can be rendered up to 4K quality independently of screen size/resolution in DCS. 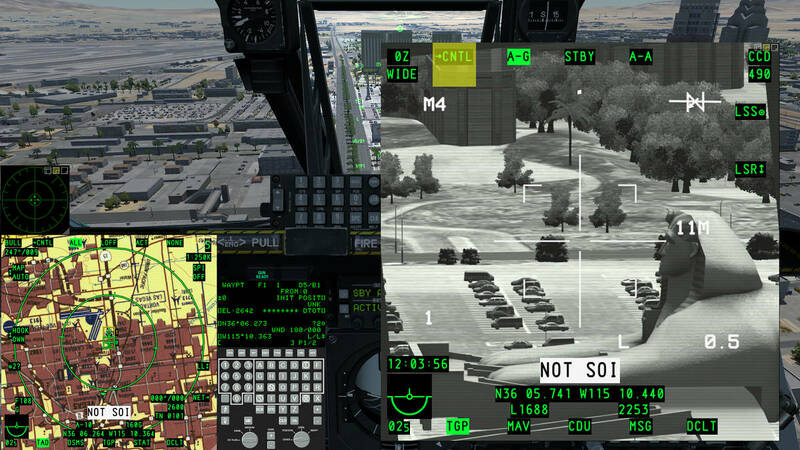 Rafael Advanced Defence Systems - the manufacturer of the A-10C's LITENING pod - announced that they would offer a colour CCD sensor as a retrofit option for all LITENING pods by the end on 2014. With UltraMFCD you too can enjoy this upgrade. Each MFCD has three size/position memories allowing the pilot to quickly switch between a large MFCD for target identification, a smaller configuration for a clearer view of the rest of the simulator and an unintrusive "minimised" mode. Change the size and layout of your aircraft's systems in real-time as opposed to being forced to arrive at a static compromise. @UltraMFCD1yrs@evertonmatt1878 I raise you one Christmas pantomime. @UltraMFCD2yrs@RAFBBMF Amazing flights over Folkestone! Thank you for all your complicated work! @UltraMFCD2yrs@RAFBBMF ...that's after yesterday's treat of a full aerial show. @UltraMFCD2yrs@atcsimulator ..and grid-cities make it difficult for pilots to spot the actual runway. @UltraMFCD2yrs@TheDrifterTV How ironic that a GTA statement should be neutered by something approaching an NDA. Life, sometimes, does not imitate art. @UltraMFCD2yrs@lufthansa @Airbus Could the A-380's engine faring encompass the fuselage of the Junkers? @UltraMFCD2yrs@atcsimulator You would be forgiven for mistaking it for Valve's Portal. @UltraMFCD2yrs@6THVFW @PeterVoinovich The Scandies will, presumably, be annoyed that the Aussie "Expert" Group™ forgot all about the Gripen. @UltraMFCD2yrs@6THVFW @TheIceGryphon Wow. I never knew that I'd have to defer tofnleleknuofufu. @UltraMFCD2yrs@6THVFW @TheIceGryphon Covfefe is easy. COVFEFE is hard! @UltraMFCD2yrs@Finnair @flightradar24 @SaabFI Filmed from a callsign of "AirforceMuseum", none the less. Nice work! @UltraMFCD2yrs@PeterVoinovich @6THVFW You can see why the F-14 was considered a "large" fighter.